Haley Szczech is a senior at DHS and a co-head editor of El Diablo this year. Along with working on the newspaper for the past three years, she is also a committed member of Troupe 1096, a member of the National Honors Society, and the Vice President of the National Arts Honor Society for the 2018-2019 school year. Haley loves living in Durango, being outdoors, and animals, (especially her two dogs). Gwen Stoddard is the Head Arts Editor for the El Diablo, as well as a member of NHS, and an active individual in volunteer work for the Durango community. She’s involved in kickboxing, and loves hiking, paddle boarding, her dogs, and cooking. This year, she’s hoping to create awesome art charts and be involved in the art community in order to make the best art section ever! Bekah Moenning is a senior at Durango High School. She became apart of the journalism program at DHS her freshman year and has been the head sports editor for three years. Once she graduates in 2019 she plans to major in psychology in college in hope to help people get through their struggles. Other interests include running, going on river trips, hiking, and camping. Bryn Valdez is a sophomore at Durango High School. She joined El Diablo her freshman year, and now serves as a sports editor. In 2017, she was designated as the JEA Aspiring Young Journalist runner-up. She plans to continue her studies of journalism into college. Aside from El Diablo, she enjoys photography and art as well as playing softball and lacrosse. Junior Saylor Stottlemyer is the current Managing Editor of El Diablo. She has been on staff for 3 years, and was the Features Head Editor her Sophomore year. Along with newspaper, she is in Cross-Country, Swimming, and Track. Saylor is the Fundraising Officer for Interact Club, a Member of MYAC, a DECA Officer, and the current Director of Social Media and Public Relations for Student Council. She loves to go hike up mountains with her dog, relax, and play board games in her free time. Chloe Ragsdale is a sophomore at DHS. She joined El Diablo during her freshman year and now serves as a co-head specials/lifestyle editor. Chloe received a CSMA honorable mention award and the most valuable freshman award during her time on the staff. After high school, Chloe wants to study journalism and hopes to someday have a successful career as a journalist. 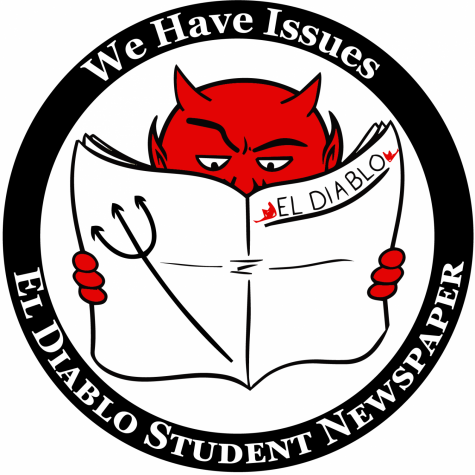 Maddy Gleason is a junior at Durango High School and serves as the head features editor for El Diablo. She has won one CSMA award and was nominated the most valuable sophomore during her time on the staff. Maddy plans to attend college in the Northwest and major in journalism and human rights or environmental studies. Her interests include paddleboarding, playing tennis, being outside and around dogs, and spending time with her friends and family. Joey Mynatt is a senior at Durango High School and has been a photographer for El Diablo since her Sophomore year. She now sits as one of three photo editors. On top of El Diablo, Joey runs cross country, loves to hike, and spend lots of time at the river with her two dogs. She is excited to spend time taking and editing amazing pictures to captivate El Diablo readers and make this years photographs the best they can be. Alyssa Robertson is a Senior at DHS and is a photo editor. It is her second year on the newspaper staff. She is looking forward to working alongside Joey Mynatt to create an excellent array of photos for each issue. With Newspaper, she is also involved in National Honors Society, NAHS, basketball, and Hype Squad. She wants to be a pediatric nurse and hopes to attend Colorado Mesa University in the fall of 2019. Grace Swanson is a sophomore at Durango High School. She serves as a features editor for El Diablo. She writes articles about societal and world issues. She plans to study veterinary medicine. Her interests include skiing, photography, art, and most water sports. CSMA. Irie plans to attend college, but is undecided on what he wants to study. In addition to El Diablo, he is involved in DECA, NHS, and NAHS. Emma Jaber is a senior at Durango High School and has been on the staff for 4 years. She is one of three head editors on the Staff, and has served previously as an arts editor. She has won two CSMA awards during her time on staff. Emma plans on attending college out of state and majoring in communications and journalism or political sciences. Her interests include playing tennis, music, traveling, and spending time with her friends. Caroline Knight is a senior at Durango High School in her second year as co-head editor of El Diablo. She primarily writes editorials and a running advice column, “The Demon’s Advocate.” After high school, Caroline hopes to join the Navy either through the U.S. Naval Academy or ROTC programs. Outside of El Diablo, Caroline is a member of National Honors Society, Community Ambassador for DHS Student Council, and captain of the DHS Women’s Varsity Soccer team. Mia Boudreau is a junior at Durango High School. She joined El Diablo her sophomore year, after transferring from Animas High School. She serves as specials/lifestyles co-head editor. Outside of El Diablo, she is involved in National Honors Society, and also is an intern at LPCHS (La Plata County Humane Society). Her interest include being around and working with dogs, spending time outside, reading, art, photography, and spending time with her family and friends. Cassandra Blau is a senior and has contributed to El Diablo for four years. She serves as head photographer and previously was a reporter and staff photographer. In college Cassandra plans to study psychology. Her interests include photography, track and field, contemporary dance and listing to music. Hannah Wills is a junior at Durango High School. Currently she is a Photography Editor, but previously served as a reporter. She plans to study pharmacy out of state after she graduates. Her interests include music, reading, photography, traveling, and spending time with friends or family. Gillian Holmgren is a senior at Durango High School in her second year of serving as the Online Head editor and previously served as the News Online editor and a reporter. Outside of El Diablo, she enjoys hiking, spending time at the river, looking in rock shops, lively political debates, and blasting music in her car while it rains. A senior at DHS, Tierney Brennan has been involved with El Diablo since her freshman year. She has worked as a reporter, Specials online editor, and co News Head editor, and is now serving as co head of El Diablo Broadcasting. In the future, she hopes to attend a college in a city and explore all her interests. Her recreations include being involved with shows in the high school theater troupe, listening to music, taking photos, or making videos.